Thank you for a great product I am very grateful. 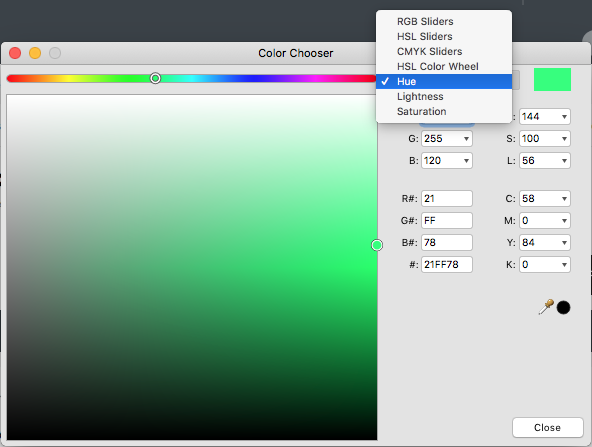 This allows easy conversion from different color formats and the insertion of hex RGB codes. The format is larger than the color panel, so is easier to make certain color selections.